Jyn and the rest of the Rogue One crew all die at the end of the film in the fallout of a Death Star superlaser beam. So where could Jyn Erso rise again? THR speculates that she could show up in a still hypothetical-but-highly probable young Luke Skywalker spinoff, but we think that, considering she’s imprisoned in an Imperial labor camp at the beginning of Rogue One, she would fit in quite well with the smugglers and scoundrels in the already-announced young Han Solo movie. 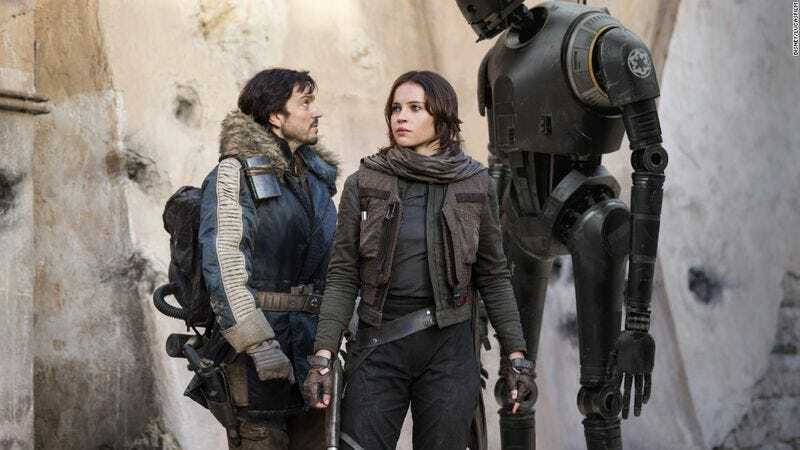 Of course, as those who have seen Rogue One already know, that sequel option could be exercised at any point—even after she’s dead.